In September 2013, Anna and Philippe left the small village of Simikot in the Western Nepal, aiming to run the high route of the Great Himalaya Trail in less than 40 days. It is the equivalent of 40 marathons in 40 days with 15 passes over 5,000 meters and two over 6,000m. This home-made film tells their story. 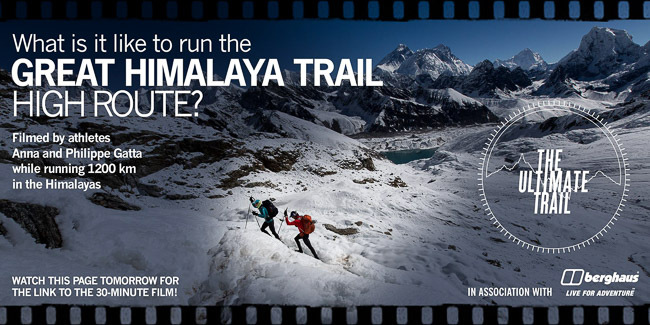 This entry was posted in Expedition, Trail, Video and tagged GHT, great himalaya trail, high route, nepal, video. Bookmark the permalink. Both comments and trackbacks are currently closed.